She's beautiful, and she's here! 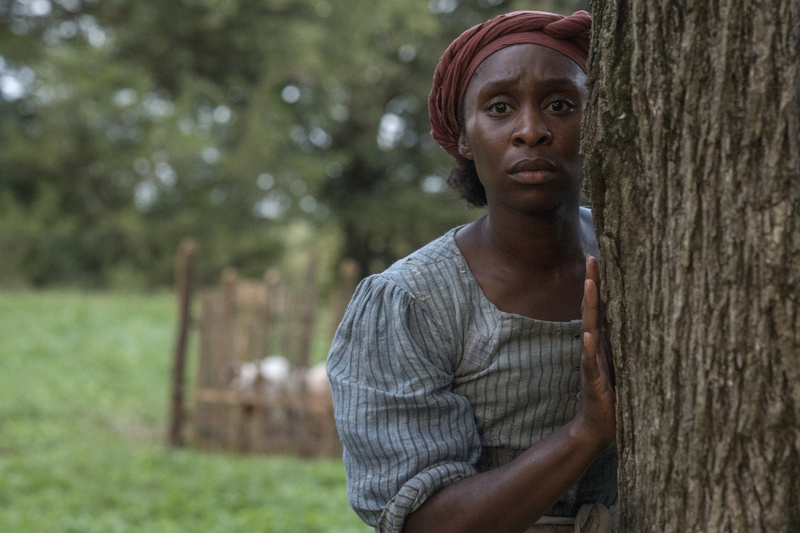 As previously reported, after recent screen successes in Widows and Bad Times at the El Royale, The Color Purple Tony winner Cynthia Erivo will star in an upcoming Harriet Tubman biopic. Now Broadway.com has your first look at Erivo as Tubman in Harriet, which will explore the life of the famed black abolitionist and humanitarian who escaped slavery in the South, became a spy for the Union and paved the way for several others to be freed through the Underground Railroad. Kasi Lemmons directs the film, which features a screenplay by Gregory Allen Howard and Lemmons. The film's cast will also include Hamilton Tony winner Leslie Odom Jr., Jennifer Nettles, Janelle Monáe, Joe Alwyn and Clarke Peters. Harriet is slated to hit movie theaters later this year. Check out these shots of Erivo, and keep in mind—the talented performer is just an Oscar away from the coveted EGOT. Focus Features will release Harriet in theaters this year.